Pete Townsend of the Who called it an uncanny masterpiece. He was speaking of the King Crimson album “in the court of the crimson king”. The name King Crimson came from the band’s lyricist Peter Sinfield as a synonym for Beelzebub, prince of demons. The band known as King Crimson was started in late 1968, shortly after, they purchased a Mellotron, a unique keyboard instrument that could play back any recorded sounds such as stringed instruments, voices, or sound effects. King Crimson used it to create an original orchestral rock sound never heard before. In the spring of 1969, they played at the Rolling Stones free concert in Hyde Park, London, before a crowd of 650,000 people. 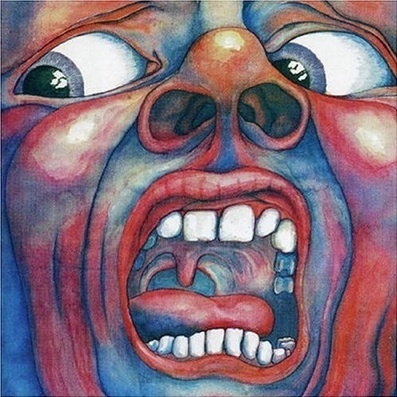 The first King Crimson album titled ‘In the Court of the Crimson King’ was released in October of that same year. The album drew on a wide range of influences including improvisation, classical, folk, jazz, military, with a little British pop and a touch of Jimi Hendrix mixed in. Their sound presented a unique approach to music and was a break from the usual blues-based rock of the day. King Crimson has been credited by many with starting the progressive rock movement.